Perhaps you've heard of Gravity Blankets, aka weighted blankets that can help you feel comforted, relaxed and calm — and ideally, help you sleep faster and better. Well now, there's a Kickstarter for another cozy item that promises to chill you out into a sleepy, zen-like state: the Moon Pod. 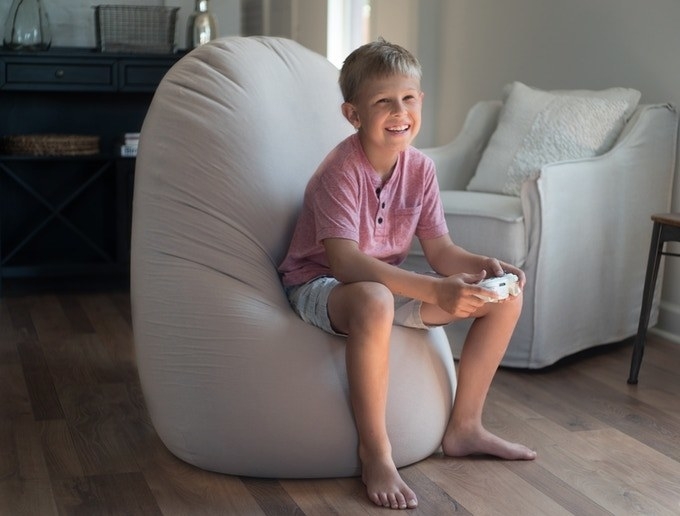 The Moon Pod, which was created by the same inventor as Gravity Blankets, is basically a beanbag chair that uses high-friction microbeads to deliver a weightless sensation when you sit or lay on it. Your weight is equally distributed when you lay on it, giving you equal amounts of support and floaty feelings. That zero-gravity feeling is meant to provide all day relaxation — or, at the very least, a very comfy sitting situation. "Moonpod delivers a weightless sensation engineered to mimic the therapeutic feeling of Flotation Therapy, a powerful practice known to help people who suffer from stress, anxiety, insomnia, PTSD, and ADHD" the Kickstarter says. 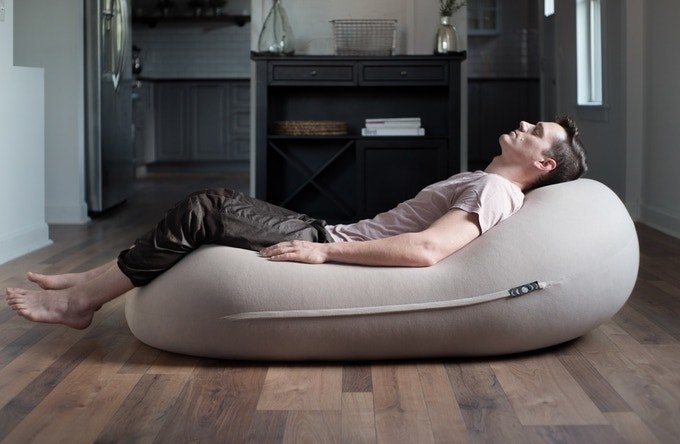 The Moon Pod can be used three different ways: as a chair, a recliner, or a nap pod. Plus! When you're done with it, it can be packed up in a compact sack. The Moon Pod is still in Kickstarter phase, but considering it's already raised $185,382 of its $21,500 goal, they'll hopefully start making the pods before you can say "zero gravity." According to the Kickstarter, the Moon Pods will cost $399 before taxes and shipping.